Two Pinellas County Sheriff Deputies have been reprimanded after failing to investigate a call about gunshots. 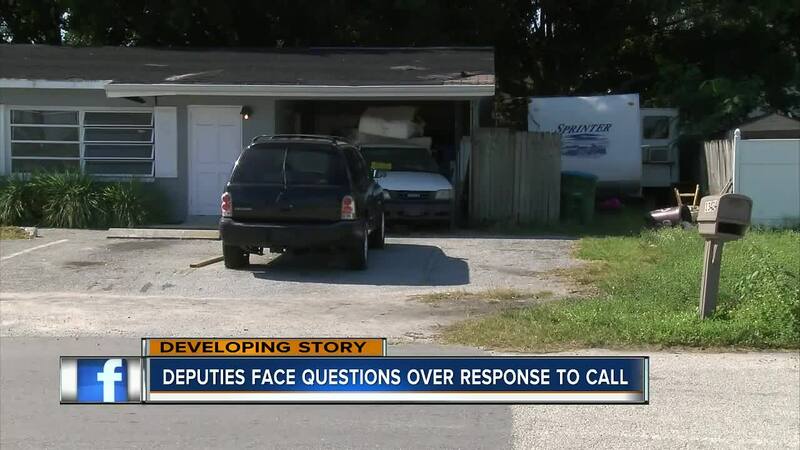 PINELLAS COUNTY, Fla. — Two Pinellas County Sheriff Deputies have been reprimanded after failing to investigate a call about gunshots. 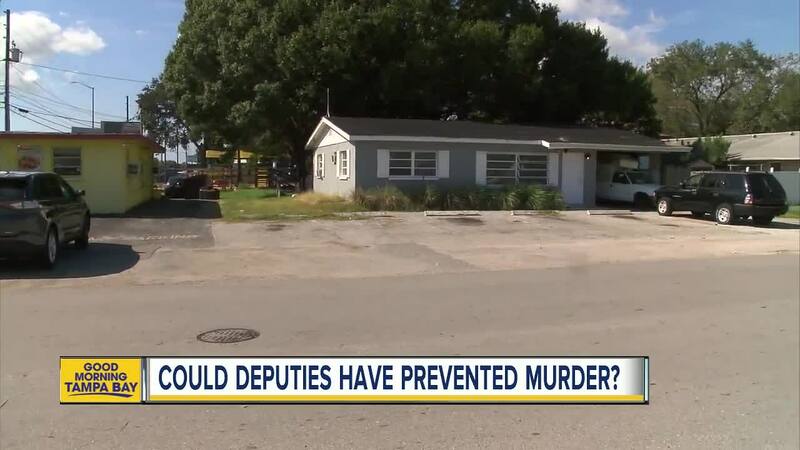 ABC Action News told you about the incident back in August when a 28-year-old woman was found dead in a camper behind a Largo home near the intersection of Ulmerton Road and West Rena Drive. Now, we're learning deputies were at the home less than 45 minutes before she died. He then tells the dispatcher: “They came from outside, it was outside in the backyard." Moments later, Deputy Claudio DiMundo and Corporal Robert Richardson were dispatched to the home at 13424 West Rena Drive. The two drive around, but according to an internal review, never leave their patrol cars. What they didn't know is 28-year-old Christine Giles had been shot once by her boyfriend and was inside a camper in the yard of the home. Three minutes later, and without speaking to any neighbors, the deputies leave, according to Pinellas County documents. It's upsetting for Kelly Michaud-Smith, who lives just down the street. “You need to get out and investigate why, where did it happen and what really happened,” Michaud-Smith explained. Deputies say the shooter Nathaniel Yates left the area then returned to shoot his girlfriend 3 more times. Less than 45 minutes later, Giles was dead. "They failed to do their job," Tabitha Logue, who lives nearby said about the incident. "She might still be alive today," Beatrice Boger added. Both deputies are now written up. The sheriff saying his deputies should have done more by at least calling the man who dialed 9-1-1 to get more information yet adding that "A good portion of the time" shots fired calls "turn out to be unfounded." “That is so sad. For them to have gotten called and come here and she was in there and they could have helped her. That’s insane,” Logue added. People who live nearby want justice for Christine Giles and are asking for this incident to be a wake-up call. “It should absolutely be a wake-up call. They should absolutely for every call get out of their car and look around,” Logue explained. Sheriff Bob Gualtieri says the incident is unfortunate but added, "You’re not going to start doing yard-by-yard, house-by-house canvasses every time we get a shots-fired call." Nathaniel Yates, the alleged shooter, faces murder charges. A judge recently committed him to a mental health facility.